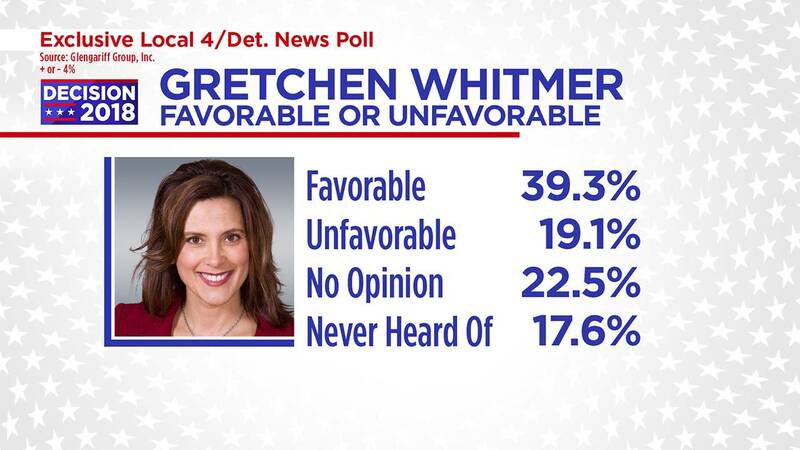 DETROIT - A new WDIV/Detroit News poll shows a double-digit lead for Democratic Gubernatorial candidate Gretchen Whitmer in the upcoming midterm elections. 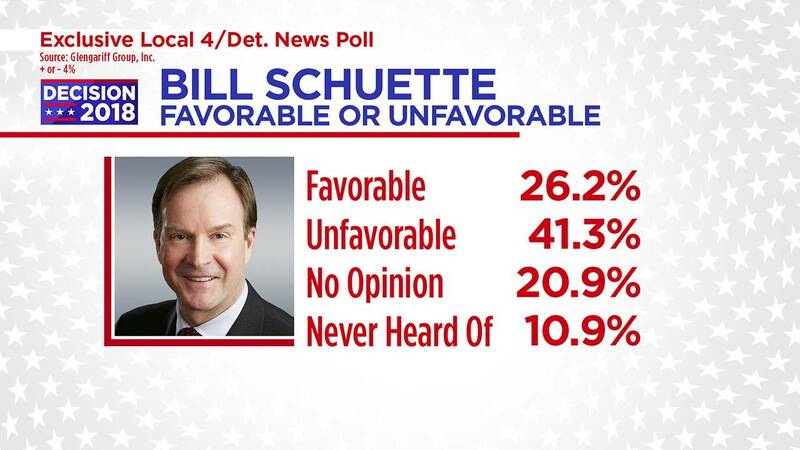 Schuette only leads among men with a high school education at 47.6 percent-36.1 percent. Whitmer leads among men with some post high education by a margin of 50.0 percent-36.1 percent and among college educated men 48.4 percent-38.4 percent. Whitmer leads women of all education levels. Whitmer leads among women with a high school education 52.1 percent-36.7 percent. She leads among women with some post high school education by a margin of 47.7 percent-36.3 percent. But she holds a lead among college educated women 56.5 percent-28.6 percent.